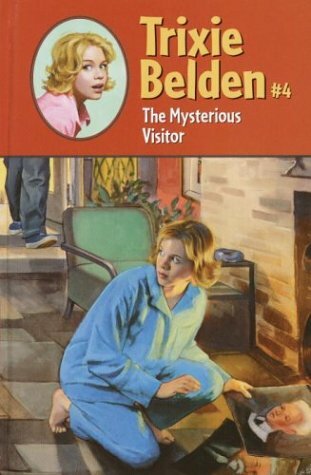 Here are the top 30 mysteries & detectives books for 12 year olds. Please click Read Review to read book reviews on Amazon. You can also click Find in Library to check book availability at your local library. If the default library is not correct, please follow Change Local Library to reset it. 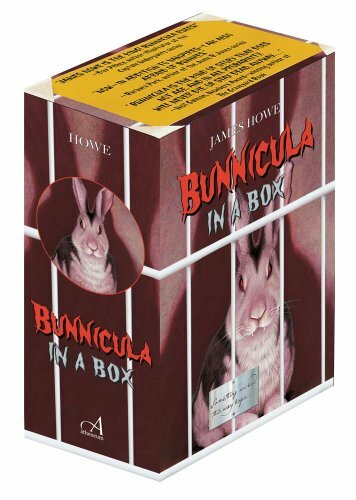 Lock up your veggies and get out your garlic—the complete Bunnicula collection is now available as a boxed set! 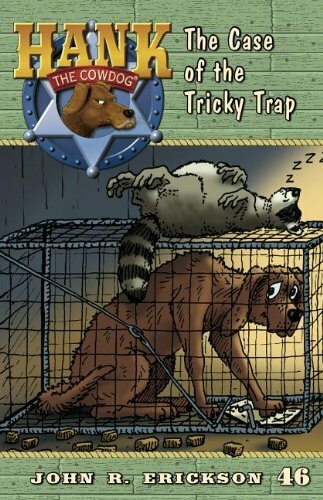 Something wicked this way hops… Join Harold, Howie, Chester, and of course, Bunnicula for seven thrilling adventures—all together for the first time in one fur-raising boxed set! This complete collection includes paperback editions of Bunnicula, Howliday Inn, The Celery Stalks at Midnight, Nighty-Nightmare, Return to Howliday Inn, Bunnicula Strikes Again, and Bunnicula Meets Edgar Allan Crow. Riding high in fifth grade, Chase Manning joins the Apple Valley baseball team, and his clutch hitting leads the squad to within two victories of the school’s first league championship. Confidence is high—until Chase’s lucky batting glove turns up missing the day of the semifinal game. Unsure whether the theft represents a personal attack or an attempt to derail the entire baseball team, Chase must track down the culprit and find the glove before the team boards the bus at 3 o’clock. Surprising and suspense-filled plot twists fill the pages of this single-day, real-time mystery thriller. Casey didn’t believe in monsters until they stole his sister. 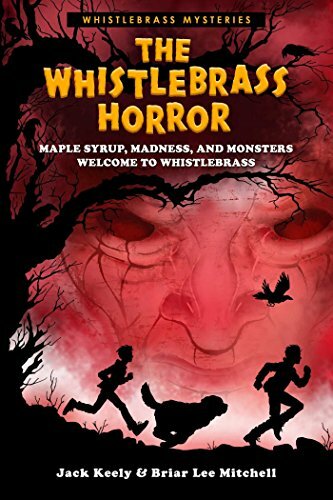 Shortly after teenage newcomer Casey Wilde arrives in the haunted town of Whistlebrass, Vermont, his little sister disappears. Finding her won’t be easy–Casey is up against a suave sociopath, a legion of living shadows, and a reptilian humanoid capable of stealing his life force and crushing him into dust. Who can Casey ask for help when no sane adult will believe his story? 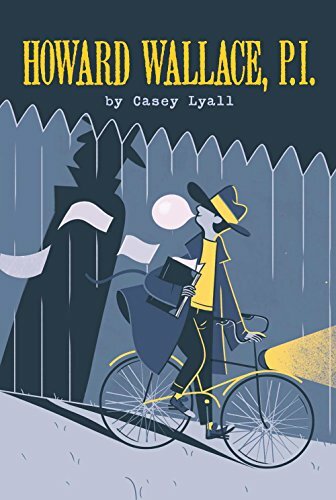 Fans of the classic detective/spy story as well as the popular THE SECRET SERIES will adore this highly illustrated debut middle-grade adventure featuring three young sleuths! 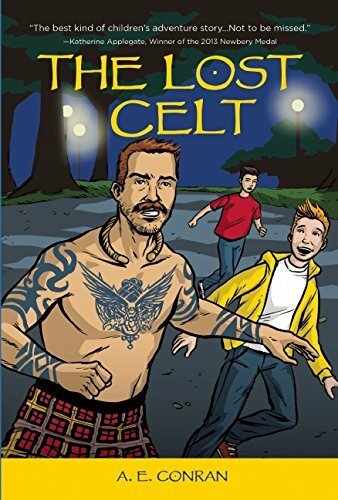 Written in the voice of Mikey, a fourth-grader who believes that eating crunchy things will get your neurons to fire, The Lost Celt follows Mikey’s adventures after a chance encounter with what he thinks is a time-traveling Celtic warrior. With the help of his best friend Kyler, and clues from his military history book, Mikey tracks down the stranger, and in the process learns about the power and obligations of friendship. Full of heart, The Lost Celt throws a gentle light on some of the issues facing our veterans and their families, but it’s the humor and infectious camaraderie throughout this book that makes it so memorable. Now in paperback, a riveting installment in an action-packed series. 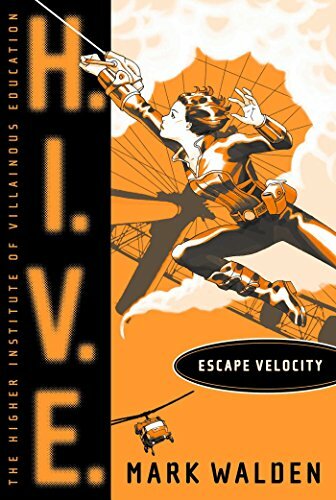 Students and staff at H.I.V.E.—the Higher Institute of Villainous Education—are horrified to discover that Dr. Nero has been captured by the forces of H.O.P.E.—the Hostile Operative Prosecution Executive—the world’s newest and most ruthlessly efficient security force. Otto decides that the only way to find Nero and the truth behind the lies is to escape H.I.V.E. But he’s also struggling with some newfound abilities: Can he really unconsciously interface with computers without physical contact? And if he can, what exactly do his new powers mean? In his search for answers, Otto must flee H.I.V.E., and take the risks that come with being a rogue agent. Then he just has to break into MI6…..
FOR USE IN SCHOOLS AND LIBRARIES ONLY. 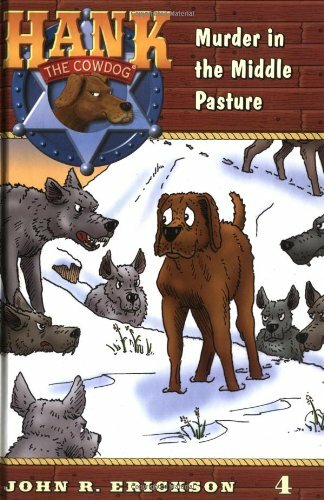 Hank the Cowdog is head of Ranch Security in this action-packed adventure series that will tickle funny bones of adults and children alike. Lucas’s father has recently died in Afghanistan, and to help him cope, his grandmother sends him to Camp Kawani, a camp for kids who have lost a parent. While there, he hears about the local legend of Thomas Jefferson Beale. Beale supposedly hid a hoard of gold in the mountains 200 years before. The location is encrypted in a set of codes no one has ever been able to decipher. When Lucas and his newfound friends decide to track down the treasure, they embark on a mission that could be too dangerous to survive. Trixie and Diana Lynch were friends for years before Di’s family became fabulously rich. So when Di’s long-lost uncle starts ruining her social life, Di turns to her old friend for help. But Trixie thinks Uncle Monty isn’t just an annoying relative–she thinks he’s an impostor! The warm, tingly feeling that had been smack in the middle of Alvin Fernald’s stomach ever since Miss Peppersmith had closed and neatly lined up her books that Friday afternoon, had grown bigger as he and Shoie walked home from school. Now, here, in his hand, was the reason why! 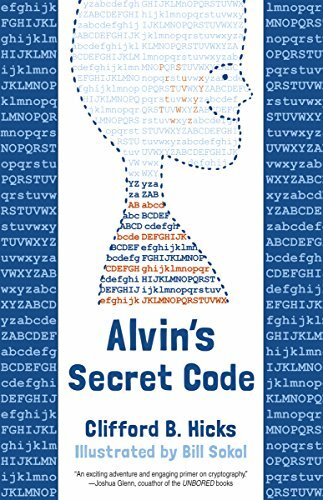 Alvin’s sixth sense tells him that the crumpled note holds a secret message in spy code, which is about to catapult the two seventh grade secret agents plus Alvin’s younger sister Daphne, the Pest, into the intricacies of authentic code detection and the dangers of a newly stirred-up 100-year-old mystery. Even Alvin’s Magnificent Brain is nearly put on overload before the bang-up solution to the code and the mystery carry the three agents to an ending that is satisfying to all…well, to almost all. This classic tale from 1963 includes Alvin’s own notes on cryptography in an appendix at the back. A fast-paced fantasy/mystery involving Celtic mythology for ages 9 & up (Colorado Book Award Finalist). Darren and Jackie Mananann have always known there was something a little strange about their family . . . but it isn’t until an unexpected presence propels them into a fantastical mystery that they discover how truly unusual and eerily powerful the Mananann family is. Things that once seemed ordinary -flowerpots, librarians, plates of cookies- suddenly have extraordinary meanings. And places that once seemed safe -trees in the forest, a fireplace in the den, a secret passage- are suddenly no longer safe. 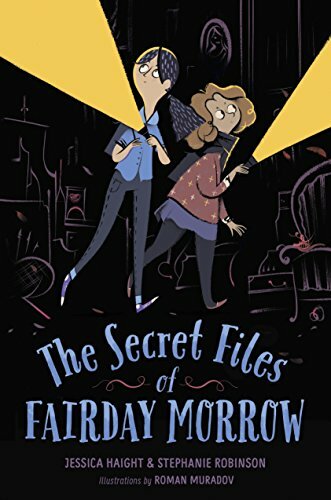 One of Darren and Jackie’s uncles has disappeared, and in order to save him they must unravel all the clues and signs that surround the Manananns’s deepest, darkest secret -a secret that spans two very different worlds. For the Manananns, mystery runs in the family. But where will this mystery lead? Twelve-year-old Clayton Stone is shocked when a top-secret government organization recruits him as a decoy in a kidnapping sting. Instantly, he gets drawn into the dangerous world of covert operations. Clayton’s new life is full of excitement, with elaborate disguises and classified debriefings, but soon enough there’s a gun against his neck. Clayton’s transformation from middle-school lacrosse star to Special Service agent is full of suspense, humor and heart — a thrilling undercover debut! If your children love excitement, don’t miss this action-packed read! Lucas Benes is yet again a boy on a mission. After sabotaging a mass kidnapping in Paris, Lucas Benes faces a new and perilous threat from Siba Günerro and her anything-but-good Good Company. When a briefcase-toting kid from the Falkland Islands joins the New Resistance Spy School, 14-year-old Lucas learns the truth about his mother and becomes a boy on a mission. Lucas and friends speed in and around Rome–from the Colosseum to the Vatican–until they stowaway on a cargo ship carrying diamonds that could unlock the secret to Lucas’s past and destroy the Good Company’s future. In this action-packed second installment of the Crime Travelers mystery series, author Paul Aertker takes readers on a gripping world tour filled with adrenaline, humor, and pure excitement. 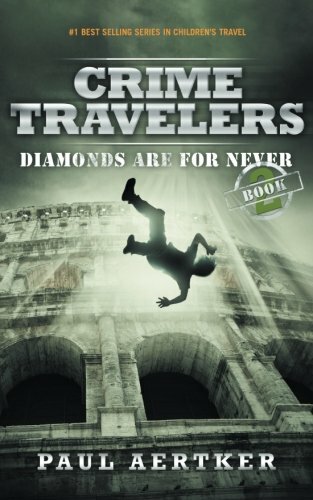 Diamonds Are For Never is the second book in the bestselling Crime Travelers collection. The first book in the series, Brainwashed (#1 Amazon Best Selling Children’s Travel Books), tracks the secret urban adventures of the New Resistance, a network of international teenage spies. This humorous and exciting middle school series with short chapters is perfect for school reading lists. 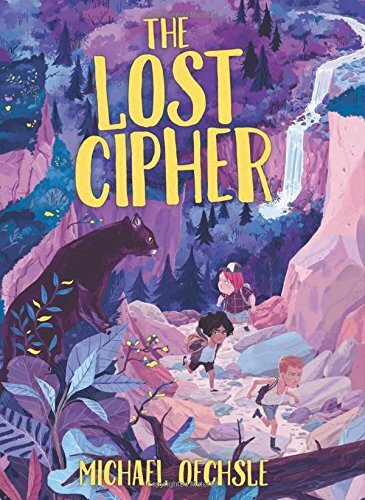 “This mystery book is like a secret diary of lost kids in adverse international settings.” A secret spy rider uses Kano, Minecraft, and Psion to help the kids travel the planet. Parents, teachers, and librarians will appreciate the worldwide geography and appropriate language for ages 9 – 14. Keeping a secret is like having an active volcano inside. It’s only a matter of time. Every summer Carson settles into the island routine at his grandparents’ lighthouse, but this summer is different. 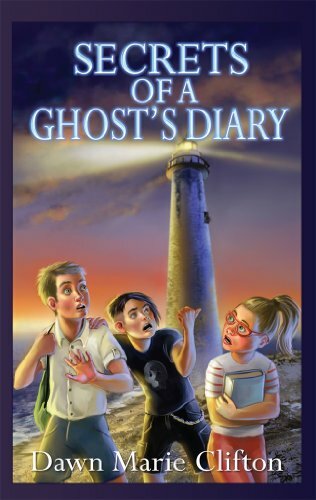 Lured by a rumor that the lighthouse is haunted, Carson begins an investigation with his friend Levi and cousin Emma. Soon, they encounter the ghost. Hand-picked by the ghost to guard a diary from the 1800s, the trio begins investigating the old entries. Along the way, every uncovered secret produces more questions. But they aren’t the only ones on a quest for answers. After the final diary entry is stolen, they learn it contains the answer to why the ghost has been haunting them. What if it’s too late? What will the trio risk to reclaim the secret to their destiny? 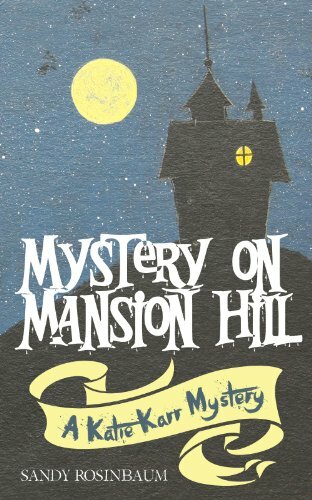 Author and Novelist Dawn Marie Clifton, has created a fresh style in the mystery genre for kids and tweens. Readers who enjoy a range from laughing to thrilling suspense, are in for a treat! With huge prizes on the line at the state hamster race, the Apple Valley Elementary science team has been working overtime to prepare. Dash, the school’s little speedster, is in the best shape of her life, and confidence is high—until the hamster turns up missing the morning of the event. 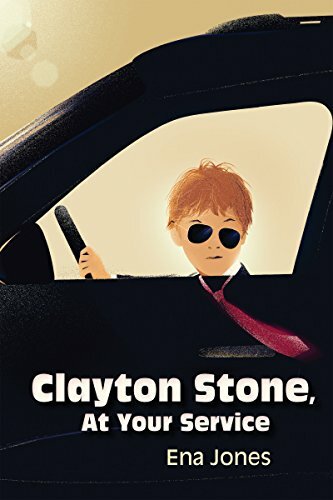 Fifth-grader Chase Manning must overcome an unsupportive principal, the visiting members of a rival school, and even his own teammates to identify the thief and find Dash before the competition begins. Expect the unexpected on the pages of this single-day, real-time mystery thriller. The Chase Manning Mystery Series features single-day, real-time thrillers that occur on an elementary school campus. Written for readers 8-12 years of age by National Board Certified Teacher Steve Reifman, the series launched with the award-winning Chase Against Time, in which fifth grader Chase Manning must investigate the mysterious disappearance of the cello that the school plans to auction off to save its prestigious music program. Its sequel, Chase for Home, was released in 2014. 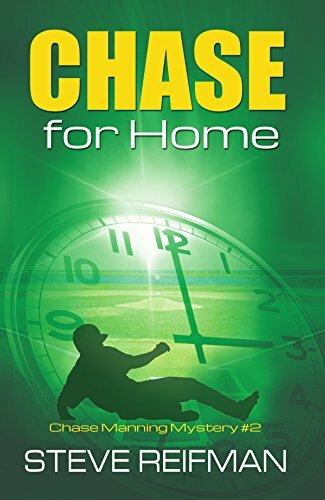 Both Chase Against Time and Chase for Home have enjoyed rave reviews from children, parents, and teachers. Young readers love the books’ fast-paced, action-packed format while parents and teachers appreciate the kid-friendly tone and content. 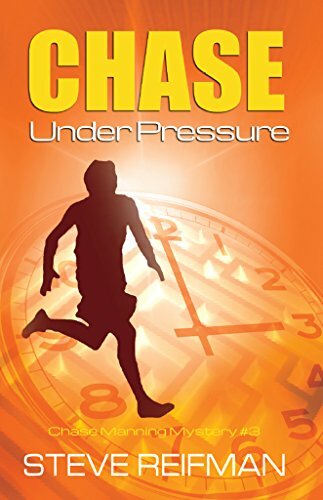 Chase is now back in the eagerly anticipated third installment, Chase Under Pressure. Chase Against Time, Chase for Home, and Chase Under Pressure are Level Q on the Fountas & Pinnell scale. 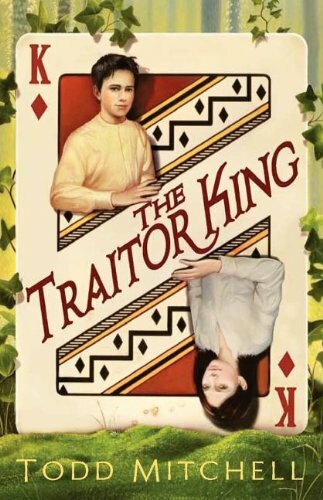 All three books are ideally suited to be used as read alouds and mentor texts during Reading Workshop units on mystery and “edge-of-seat” fiction because they include numerous examples of end-of-chapter cliffhangers, red herrings, suspects, motives, and other important mystery elements. If you are interested in teaching children how to craft their own mysteries, check out Steve’s e-book, The Ultimate Mystery Writing Guide for Kids. Anna Mae Shetler is a tomboy who loves nothing more than exploring the woods with her two best friends, Amos and Jeremiah. 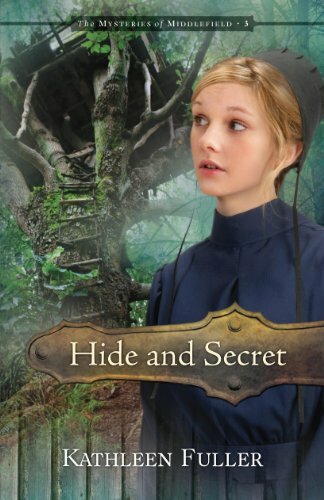 During a game of hide and seek they stumble upon a mystery that will threaten to tear apart their friendship, and—as they soon discover—it’s a mystery that caused a rift in their families decades earlier. Anna Mae and her friends are playing in the old tree house in the woods when a floor board suddenly breaks. No one is seriously hurt, but when they take a second look, they see that a metal box of money and a diary are hidden under the floor in the crook of the tree branches. Upon further inspection, they discover that it is a lot of money. As the three set out to solve the mystery, they learn that Jeremiah and Anna Mae’s grandmothers were once great friends, something they would have never guessed since the two women have only been distantly civil to each other in their lifetimes. As they search further, Jeremiah and Anna Mae realize there is a missing third party who must certainly hold the answers to this puzzle. Before they can find out, the money disappears again and threatens the trust of the three friends. Can Anna Mae solve this mystery before it tears apart more relationships? And can God heal decades-old pain and distrust? Banishment from his life’s calling can’t keep a comically overconfident detective down in the latest episode by New York Times bestseller Stephan Pastis. 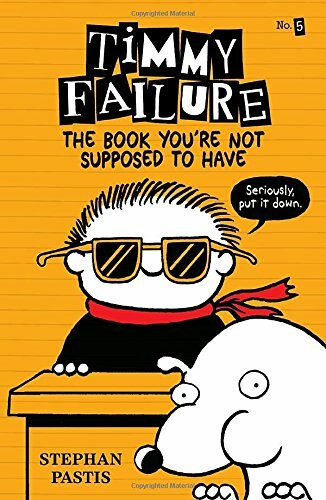 This book was never meant to exist. No one needs to know the details. Just know this: there’s a Merry, a Larry, a missing tooth, and a teachers’ strike that is crippling Timmy Failure’s academic future. Worst of all, Timmy is banned from detective work. It’s a conspiracy of buffoons. He recorded everything in his private notebook, but then the manuscript was stolen. If this book gets out, he will be grounded for life. Or maybe longer. And will Timmy’s mom really marry Doorman Dave? Perfect for readers outgrowing Ivy & Bean and the Nancy Clancy books! BFFs Lou Lou Bombay and Peacock Pearl love their PSPP (Post-School Pre-Parents) tea parties on Friday afternoons, where they recap the school week, chat about Pea’s latest fashions, and tend to Lou Lou’s burgeoning backyard garden. 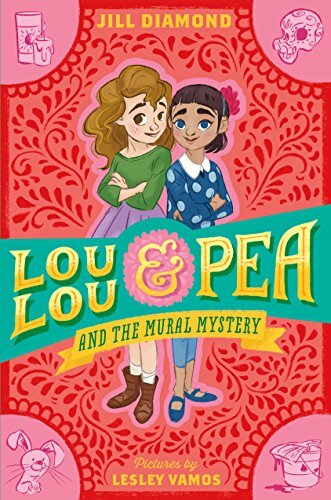 But when a series of small crimes crop up around El Corazon, their quaint and quirky town, right before the Dia de Los Muertos Parade, the girls must join forces (horticultural know-how and artistic genius) to solve the mystery. 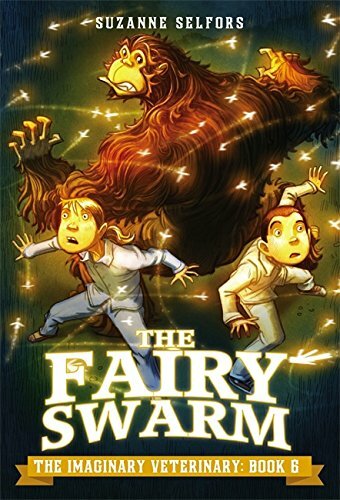 Debut author Jill Diamond weaves a delightful romp, full of colorful characters and gentle intrigue, while artist Lesley Vamos punctuates the story with black-and-white illustrations throughout. Backmatter includes crafting activities and a glossary of Spanish terms! Blast off to deep-space adventure and hijinks! Things are not so stellar for Mike Stellar. He is stunned when his parents inform him that he has only eight hours to pack before they move to Mars. Despite the fact that he suspects his parents are involved in a major sabotage plot; that the only person who believes him is a girl who won’t shut up; and that his mother’s assistant seems to be spying on Mike’s every move, Mike is dealing with the same things that every eleven-year-old deals with: bad cafeteria food, a strict limitation on his electronic use, and a teacher who is so old-fashioned she must be from the year 2099. 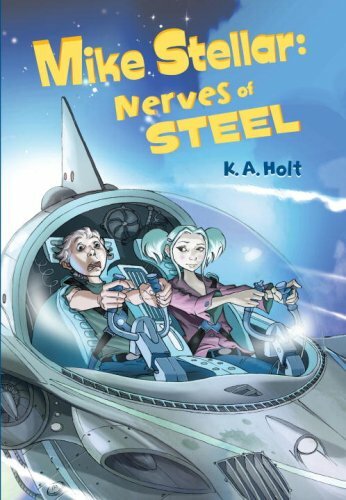 With great humor and lots of action, K. A. Holt’s first novel is set to give summer reading an out-of-this-world blast of fun. It’s midnight as Katie Karr and her new friend, Tyler, pedal their bikes through the dark streets of Golden Falls. They are on their way to explore Stockwell Mansion – an abandoned Victorian-era mansion set on a hilltop above the town. Sneaking into the mansion, Katie and Tyler explore each room, each dark corner, and discover more than they ever expected. Lovable GiGi is pairing up with expert linguist Darren, aka Parrot, on a mission to South America. When a centuries-old vase is found in a cave full of hieroglyphics, it is discovered that this vase was important to at least fifteen different North American and South American Indian tribes. And now all fifteen nations want it back. They are meeting in Rutina, South America, to “decide” who gets the vase. Enter the Specialists, and Parrot who will go as the official translator. And when no one can decode the ancient cave writings, not even the elders of each nation, GiGi comes to the rescue. Of course there’s a hitch. One of the tribal chiefs attending the meeting in Rutina is connected to Parrot’s past–in a very bad way. The question is, will Parrot be able to face his past and complete the mission, or will the vase–and the fate of the Native American nation–fall into the wrong hands? 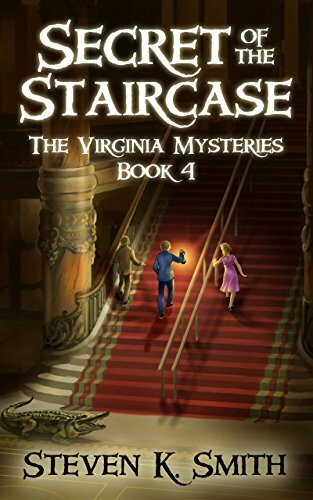 Something’s lurking beneath the famous staircase at The Jefferson, Richmond’s historic downtown hotel. Back in 1895, when the hotel opened, real alligators roamed free in the courtyard fountains. That was ages ago … or was it? When young brothers Sam and Derek arrive at The Jefferson for an elegant wedding weekend with their parents, they love exploring the old hotel. But when the wedding rings go missing and Sam is blamed, the boys and their friends must hunt down the truth no matter where it leads. If they’re not careful, they might become dinner for the hotel’s most unusual guests. Recommended for ages 8-12. 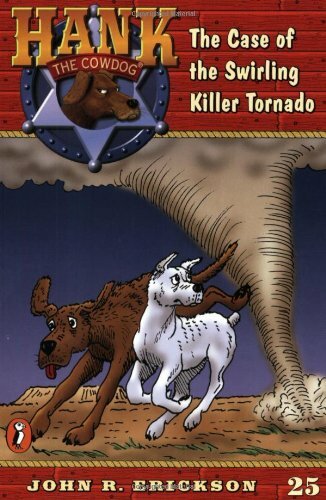 This just in from the Emergency Weather Service: A tornado is headed straight for the ranch! And Hank and Drover are in the worst possible place–trapped inside the house. Can they find a way out–before they get blown away? To the world’s peace-loving Muslims, “Jihad” signifies the holy inner struggle to seek the 5 pillars of Islam. A misguided few, however, have corrupted it into a call for war . . .
1 Orphan. 1 Spy. 6 Hijackers…BRACE FOR IMPACT! Teen orphan Justin Reed has settled into the quiet suburban life as CIA secret agent Bob Cheney’s newly-adopted son. He’s getting good grades, shining on the Panther’s JV wrestling and baseball teams, and loving his crazy new girlfriend, Joya. In his spare time, he plays Flight Sim 3000. Finally, he’s put the nightmare of the spy world behind him for good. Or has he? When their airliner is hijacked by armed terrorists–including Najla, a mysterious teen girl with striking green eyes–it’s up to Justin and Bob to take it back. But that is only half the problem: even if they can overcome the terrorists, who’s left to fly the plane? Worse, in their effort to save the day, the two uncover a plot that could trigger World War 3. Once again, Justin must rely on his old orphan street smarts–and his new CIA spy training–to take on armed terrorists and prevent apocalypse. Every passenger’s nightmare–and every simulator pilot’s fantasy! MISSION 3 OF THE CODE NAME: DODGER “SPY/FLY” ACTION ADVENTURE SERIES! Unexplained voices coming from nowhere in the middle of the night, a strange man lurking around them, a quirky great- aunt who has an obsession about a singer who has been dead for years, a homeless teen-age boy with a secret—all mysteries that twelve-year-old Mandi Ferguson must solve during her dreaded stay in Memphis, Tennessee. Much against their will, she and her twin sister have been sent from their home in California to stay with a great-aunt they barely know while their mother is on a two-week honeymoon in Europe. 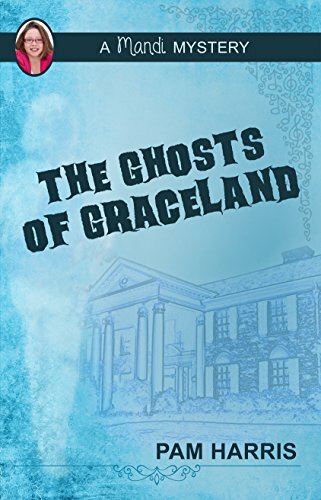 There is nothing Mandi likes any better than solving mysteries and when she hears voices outside of her room during her first night in Memphis, she is convinced she is hearing ghosts, possibly Elvis Presley’s ghost since her great-aunt’s house is right behind the entertainer’s home, Graceland. Is there a connection between the voices and the man who is spying on them? What about the homeless boy with a mysterious past who needs their help? What is Aunt Trina’s true connection to Elvis? And why doesn’t her mother call more often—is she so enamored with her new husband that she is unconcerned about her daughters? Mysteries can be fun to solve, but as Mandi learns the answers to all of her questions, she discovers that the solutions were right in front of her all along. All she needed to do was ask. A mystery-adventure in which a boy, a girl, a pet bat, and a mummy embark on a mission to find a kidnapped girl — and reverse an ancient Egyptian curse. Peter will do just about anything to escape being bullied by his stepbrothers and go to summer camp. Across town, Tunie and her pet bat, Perch, are working hard at the bakery and the local museum to support Tunie’s ailing father. When a business tycoon’s daughter is kidnapped, Peter and Tunie both decide they could do with some reward money; and after a chance meeting in the Ancient Egyptian Exhibit at the museum, they team up to solve the mystery together. Things take a turn for the magical when they encounter a mummy called Horus at the exhibit. Together, this unusual trio will find themselves teaming up to rescue the girl and undo a centuries-old curse that just may be the key to it all. 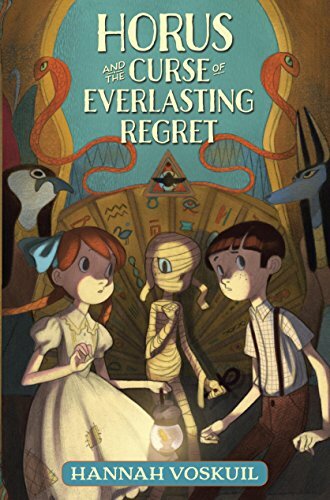 Filled with enchantment, history, and a little bit of luck, Horus and the Curse of Everlasting Regret is a charming adventure and a story of true friendship. A convoy of circus trucks is passing through the ranch. The last truck in the column hits a bump and a large red box falls off and comes to rest in the pasture. 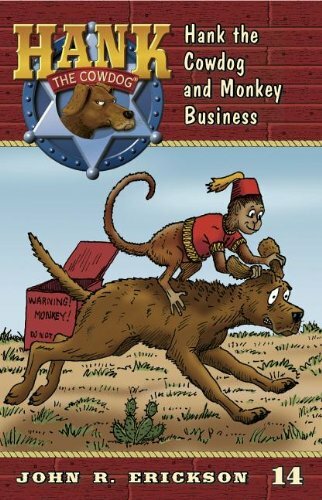 Hank and Drover investigate the box and discover that it contains a circus monkey. Pete advises Hank not to open it, but Hank’s curiosity gets the best of him. What follows is fun and adventure. manages to get himself…well…trapped. Can Hank find a way out of this sticky situation?